This website contains items related to the transit of Venus, with particular emphasis on the recent 2004 event and the forthcoming 2012 transit of Venus. Either click the hyperlink name below or scroll down to see a brief description of each category. 2012 June 5-6 Activities Art Exhibit Award Black Drop Effect Cicadas Collection Education Frequently Asked Questions (FAQ) Flyer Gallery Great Lakes Planetarium Association (GLPA) Historical Observations and Global Expeditions Home Page Hoole Images (2004) Issues Illustrated London News INSAP V June 8 Kid Stuff Lighting Issues Links Without Thumbnails Mercury Transit (2006) Miscellaneous Monument Music Non-English Observing the 2004 Transit Paine, Thomas Peace PHM Planetarium & Air/Space Museum Proctor, Richard Projects Quilt Quotes Road Trip Research Opportunity Round Rumley, Matt Safety! Sarah, age 6 Science and Math Shop Sousa, John Philip Spacecraft and the Search for Extra-Solar Planets Things Round Toyota TAPESTRY Grant Travel and Tours "Must See TV (Transit of Venus)" Screen U.S. Naval Observatory Vainglory What's New? 2012 June 5-6 A look ahead to the transit of Venus occurring June 5-6, 2012. Activities Please see the Education Resources page for the extensive collection of activities and lesson plans. Art Exhibit Artists commemorated the 2004 transit of Venus with their handiwork exhibited at Glance Eyewear Gallery in South Bend, Indiana. Award We thank the parties who acknowledge our efforts. 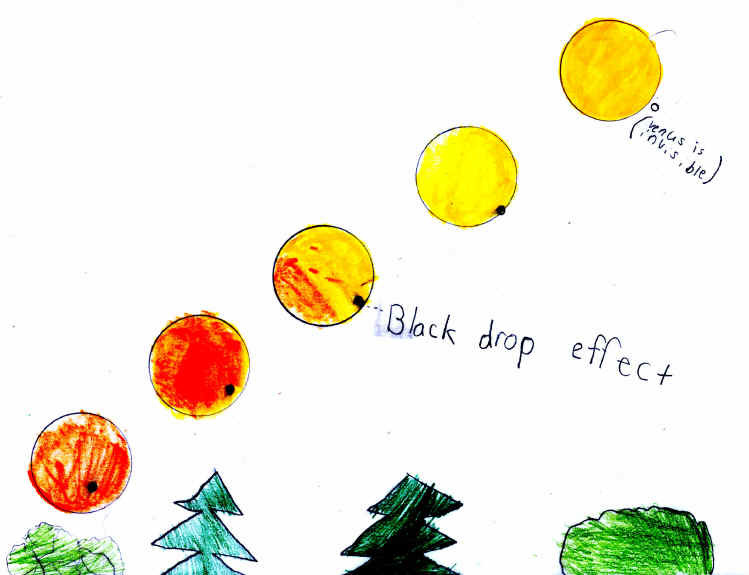 Black Drop Effect The "black drop" effect was often a limiting factoring in measuring the distance to the sun using a transit of Venus. See historic examples of this phenomenon which frustrated astronomers for centuries but is now considered an observational highlight of a transit of Venus. Cicadas Acknowledging the 2004 cacophony of Brood X cicadas, Sten Odenwald correlates cicada outbreaks with transits of Venus. Clouds What if the weather is cloudy during the transit? Here are some options and consolation. Collection Artifacts and artwork were displayed as part of the transit of Venus celebrations in South Bend communities. 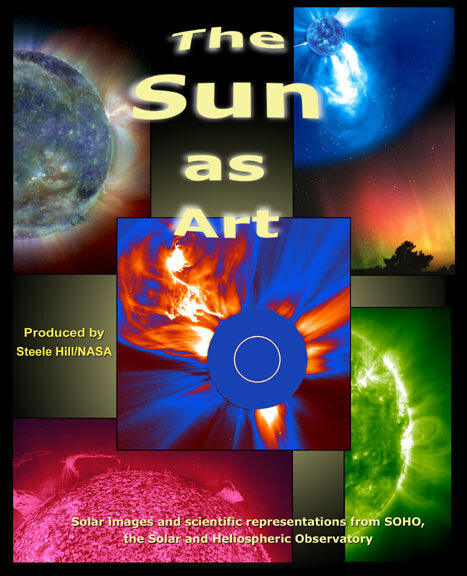 Included are photos from USNO expeditions, John Philip Sousa's novel The Transit of Venus, and The Sun as Art from NASA Goddard Space Flight Center. 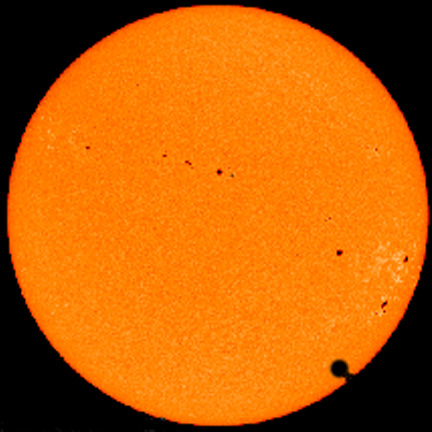 (FAQ) Getting started with observing the transit of Venus from your region. 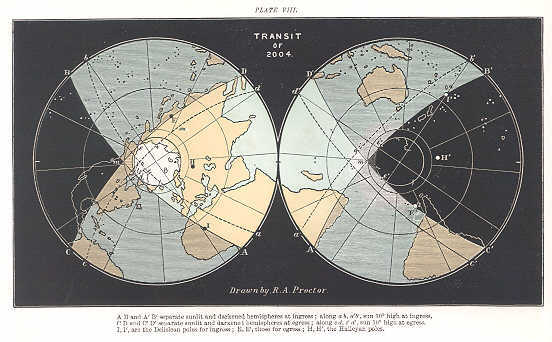 Flyer Found on the Education page, this 2004 handout lists transit of Venus Q&A, shows duration of transit across North America , recalls global expeditions, illustrates black drop effect, shows sample hands-on activity relating to transit; shows solar mega-flare; and links to Transit of Venus program for educators. The flyer is biased toward U.S. observers, but the Microsoft Publisher file is editable so you can tailor the flyer to your locale (high resolution 2.2 Mb, MSPublisher). Gallery In 2003 the Gallery shows pictures of preparations for the 2004 transit of Venus. Planetarium Association (GLPA) The 2003 Annual Conference of the GLPA featured the transit of Venus at paper sessions, at a workshop, at a planetarium show, during solar viewing, and at the hospitality suite. Hoole Images from Hoole, England-- where Jeremiah Horrocks first observed a transit of Venus--celebrate St. Michael's Church and its recognition of Horrock's achievement. 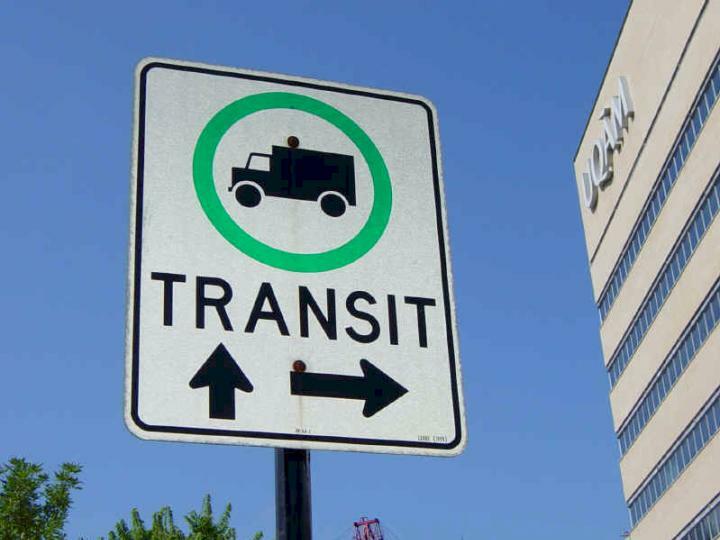 Also listed are more transit-related destinations in England, such as Westminster Abbey. Issues Though the transit of Venus expeditions are celebrated for their scientific zeal, they had their own impact on different cultures. 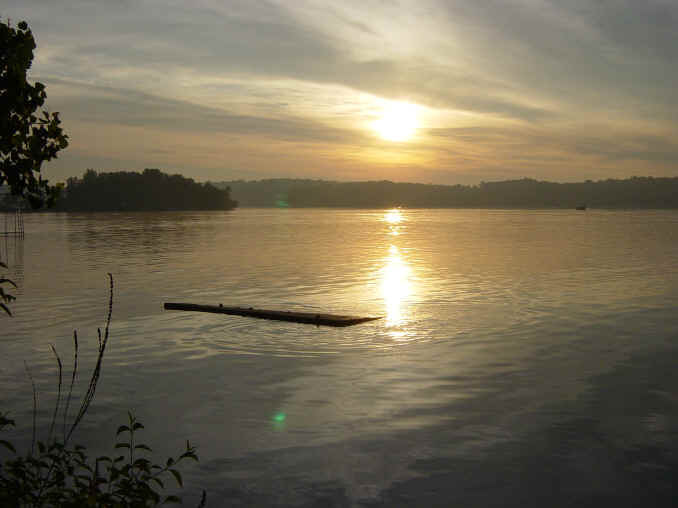 Consider these social issues related to the transit of Venus. Illustrated London News The Illustrated London News reported on the global efforts to time the 1874 and 1882 transits of Venus. Fine prints accompany the details. Images Images taken of the 2004 transit of Venus, including this picture of the International Space Station passing in front of the sun during the transit. INSAP V Artwork inspired by transits of Venus over the centuries is featured at the Inspiration for Astronomical Phenomena V conference in June 2005 in Chicago, Illinois. June 8 Images taken of the 2004 transit of Venus celebration at Mishawaka, Indiana, USA. 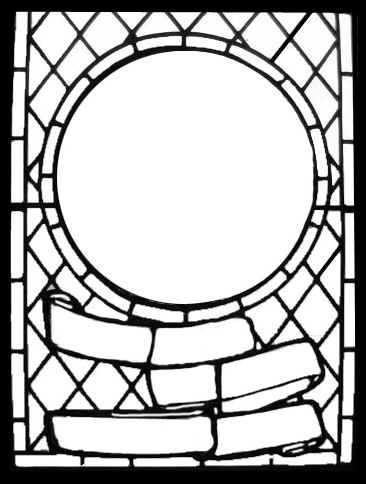 Create your own stained glass window. 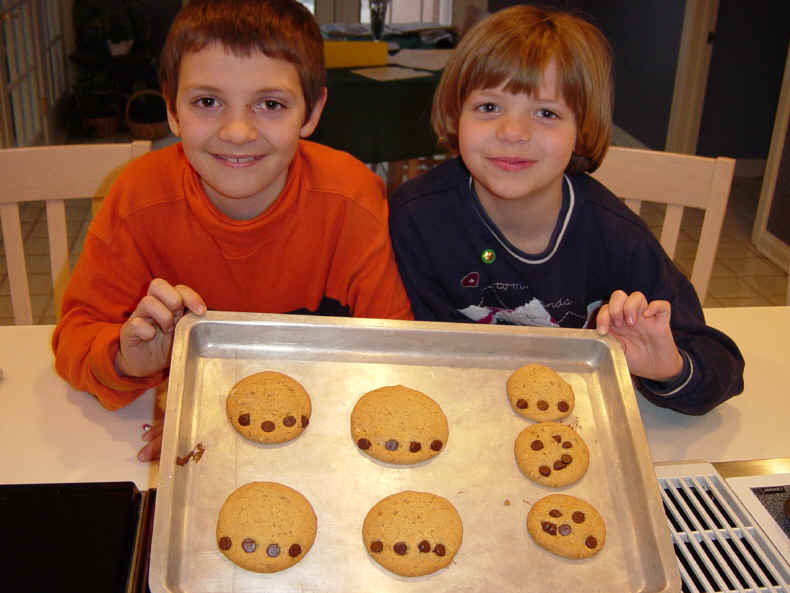 Bake transit of Venus cookies. Track the planet Venus across the sun. Color pictures from an animated show. 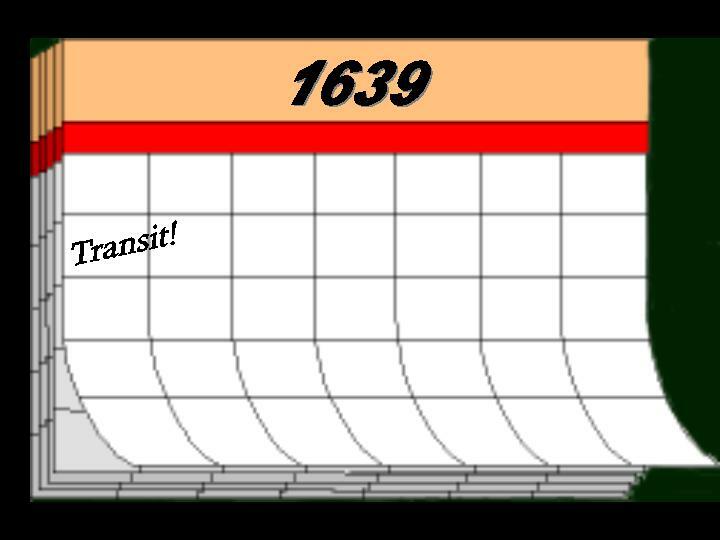 Simulate a transit of Venus. 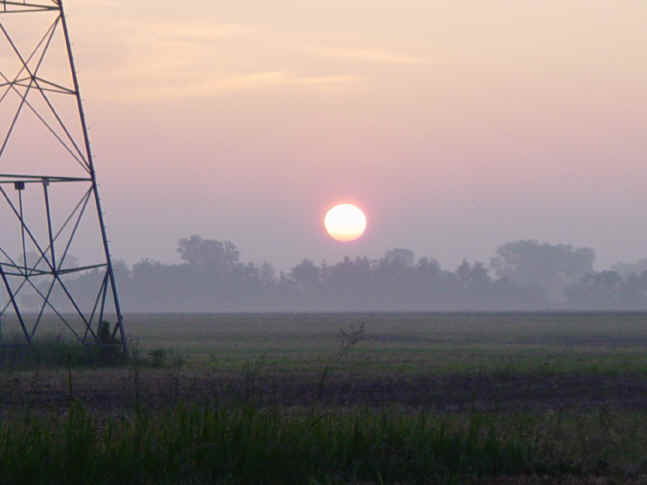 Light pollution awareness and abatement are addressed with an emphasis on northern Indiana. Links Without Thumbnails Scores of links without thumbnail images, with emphasis on the 2004 transit of Venus. November 8, 2006 View details and images of the transit of Mercury on November 8, 2008. 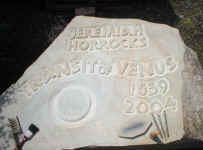 Monument Carving for 2004 monument by Croston Carvers to local hero Jeremiah Horrocks. Non-English Many non-English websites addressed the 2004 transit of Venus. These links, suggested by international transit of Venus enthusiasts, are only a sampling of the material out there. 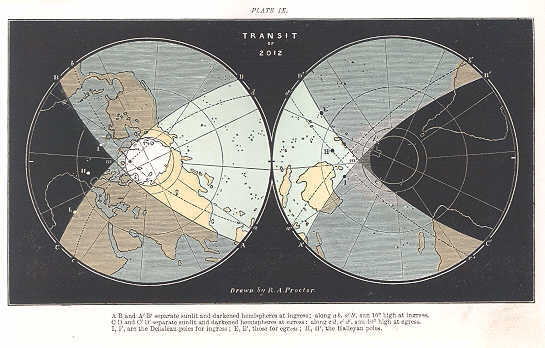 Article details the efforts to witness the 1882 transit of Venus using the Napoleon III telescope; from Robert Havlik. 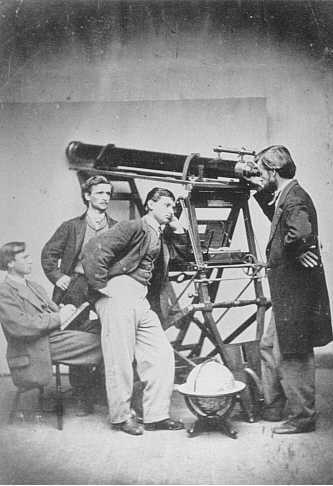 University of Notre Dame and the Napoleon III Telescope; from Robert Havlik. Connects Notre Dame history and staff with the transits of Venus. 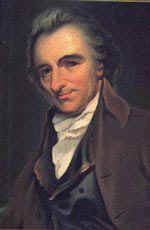 Paine, Thomas Thomas Paine cites the observation of the Transit of Venus as a practical application of Kepler's laws. Peace Solar shades were sent to support the troops and the people with whom they interact in Iraq and Afghanistan, which was the zone of maximum visibility in 2004. & Air/Space Museum The Penn-Harris-Madison Planetarium & Air/Space Museum in Mishawaka, IN, is an avid supporter of the Transit of Venus program. In 2004, planetarium programs featured the transit of Venus. This was also the site of one of the best public celebrations on June 8, 2004. Proctor, Richard Richard Proctor wrote A Popular Account of Past and Coming Transits around 1882. 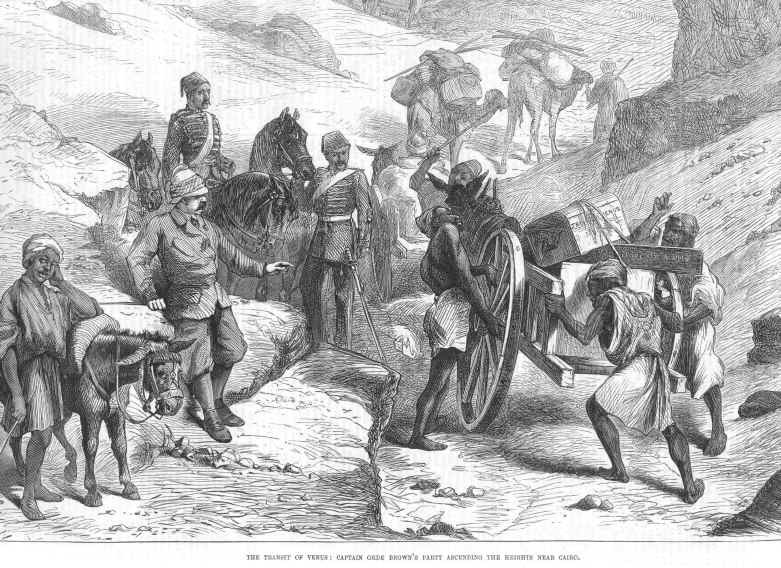 Images from the book are here, with the entire text availed online by Stanford University Libraries & Academic Information Resources. Projects Global observing projects allow students to contribute data from their site through the Internet to international pools of data, from which the distance to the sign can be calculated. 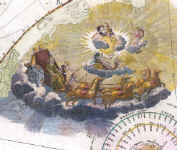 Round Round images related to the the transit of Venus are abundant. 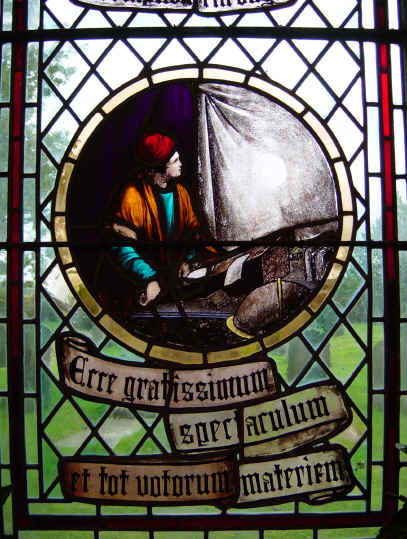 Consider these images for the stained glass window activity shown on the Kids Stuff page.
" " Quotes Quotes related to the transit of Venus convey the significance of the event in the eyes of our predecessors and contemporaries alike. 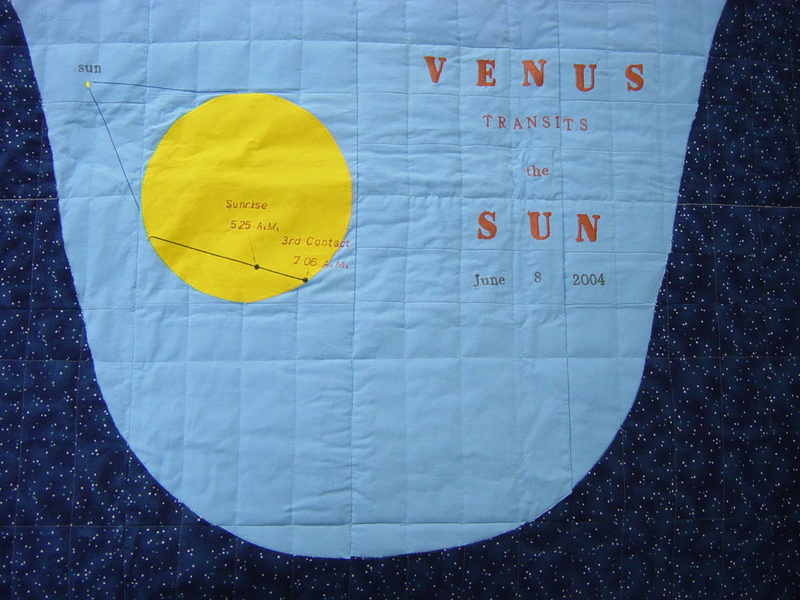 Quilt Astronomer Don Tuttle crafts a scientifically accurate quilt entitled Transit Time. Research Opportunity We encourage astronomy educators to apply for the Andrew W. Mellon Travel Fellowship Program to research historic documents, including those related to the transit of Venus. Road Trip Details for those who planned to make a road trip to South Bend to view the 2004 transit of Venus along a low Indiana horizon. Transit of Venus celebrations included exhibits of artifacts and new commemorative artwork; planetarium programs; live viewing of the transit; and a webcast. Twas a party. Round Consider all the round things related to the transit of Venus. Each is a circular candidates for the stained glass window activity at kids.htm. 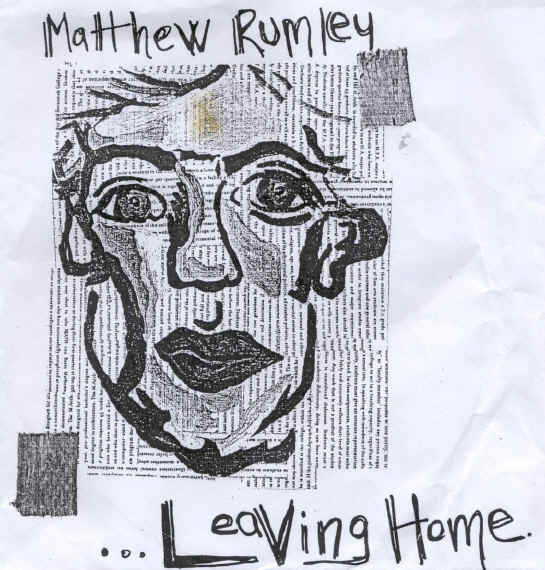 Rumley, Matt Matt Rumley created three songs that are on the Transit of Venus program audio CD plus a few more songs on the Paper Plate Astronomy videotape. Safety! "Do not look at the sun without proper eye protection." 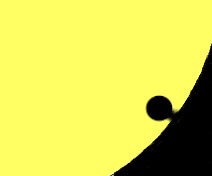 While that is seemingly obvious, what does it mean to the person who still wants to witness the transit of Venus? Suggested observing techniques help you to enjoy the sight without losing yours. Viewers are still responsible for their own eye safety. Sarah, age 6 Keep it simple. Consider the transit of Venus as seen through the eyes of a 6-year old girl, who created a poster and web page for a school project. Sousa, John Philip Bandmaster John Philip Sousa wrote the Transit of Venus March and authored a book The Transit of Venus. Toyota TAPESTRY Grant The grant administered by the National Science Teachers Association (NSTA) funds the Transit of Venus program at http://analyzer.depaul.edu/paperplate/transit.htm. 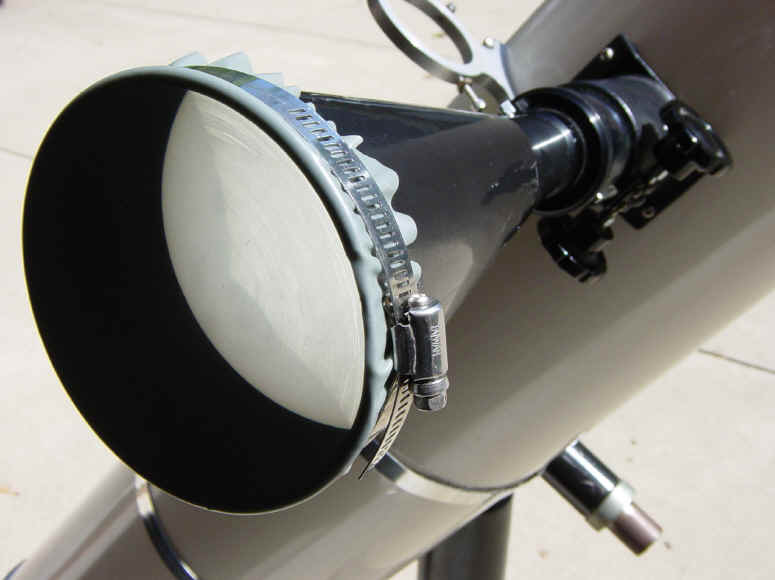 2004 Travel and Tours Sites with guided tours for witnessing the 2004 transit of Venus..
"Must See TV (Transit of Venus)" Screen At a GLPA workshop, planetarians constructed a device to view the sun safely by rear-projecting a magnified image of the sun onto a screen. The "TV Screen" allows a group to view the image concurrently while eliminating dangerous open sight lines to the sun. U.S. Naval Observatory The USNO led the 19th century effort to time the transit of Venus by sponsoring global expeditions. See these rare images from Kerguelen Island, Nagasaki, Patagonia, Chatham Island, and Washington, D.C.
What's New? This website is in transition as it segues from 2004 to 2012. To find what has been added since you last visited, scroll through the list of recently uploaded original material and links. Copyright ©2003-2008 Chuck Bueter. All rights reserved.